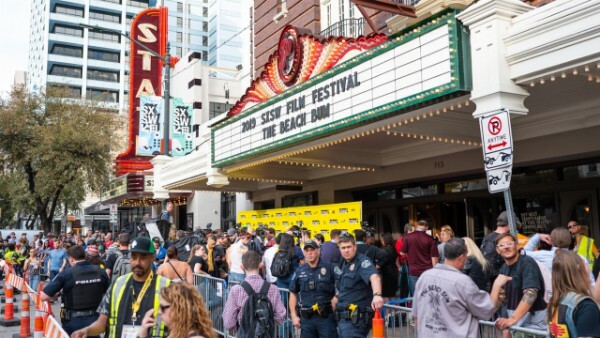 The SXSW Conference and Festivals announced the 2019 Jury and Special Award winners of the 26th SXSW Film Festival Awards at the historic Paramount Theatre. Feature films receiving Jury Awards were selected from the Narrative Feature and Documentary Feature Competition categories. Short films and other juried sections, including Film Design Awards were also presented. The Josephine Mackerras-directed Alice topped the Narrative Feature competition, winning the Grand Jury Award while its counterpart on the documentary side was For Sama. Separately, Alice and Mackerras garnered a special honor, the CherryPicks Female First Feature Award. Here’s a full rundown of SXSW’s Juried honors as well as the Special Awards including the Karen Schmeer Film Editing Fellowship, the Vimeo Staff Picks Award, the Zeiss Cinematography Award, the Louis Black “Lone Star” Award, the Adam Yauch Hörnblowér Award, and the CherryPicks Female First Feature Award.